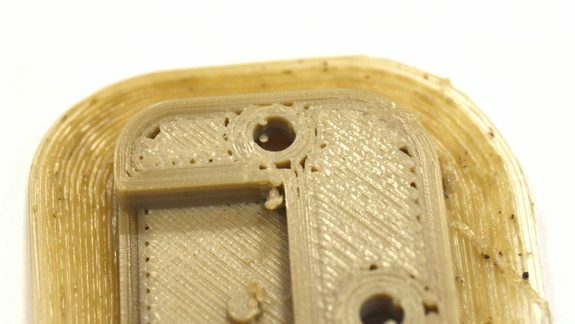 3D Printing Troubleshooting Guide - How to solve 3D printing problems? Apium helping you know how to overcome 3D printing problems in Material Extrusion (FFF) 3D Printing of High Performance Polymers. 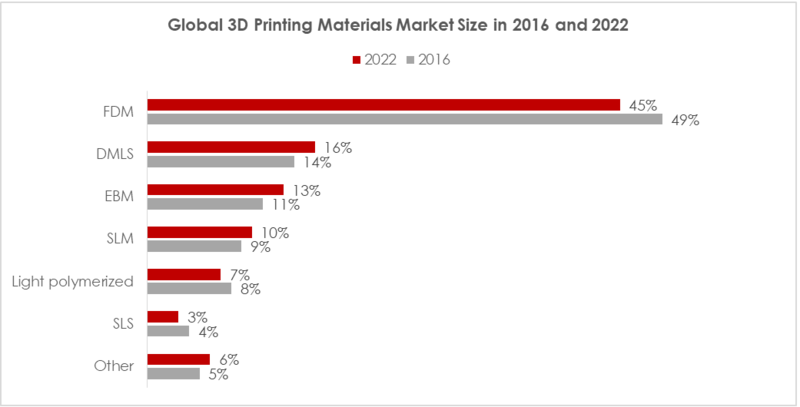 In field of Additive Manufacturing (AM), Material Extrusion (FFF) 3D printing technology is still the most widely adopted of all known 7 practice-based AM technologies. Its market size (Fig. 1), based on materials, is higher than for the rest of the AM technologies. 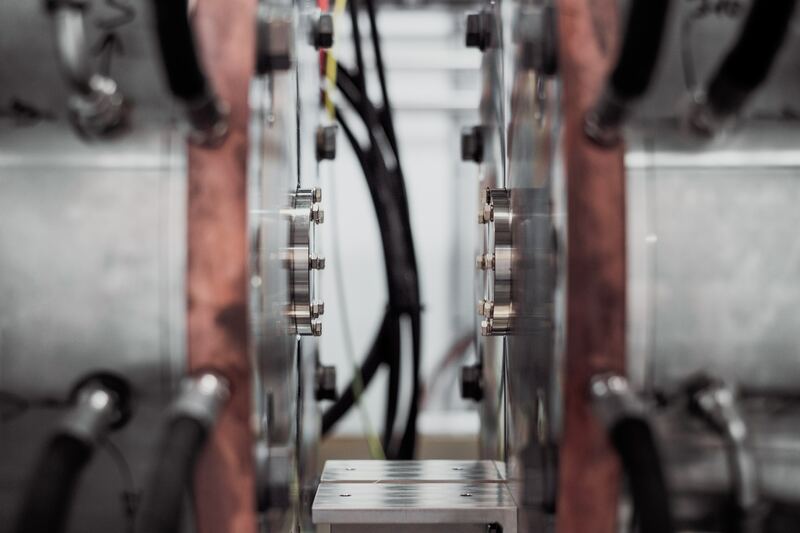 A key driver of this market size is the introduction of high performance polymers and engineered polymeric materials to the AM sector through the Material Extrusion technologies. 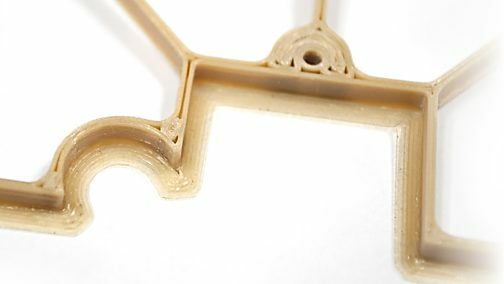 These materials have far reaching meaning in various industries and have traditionally been processed using injection moulding or CNC milling techniques. 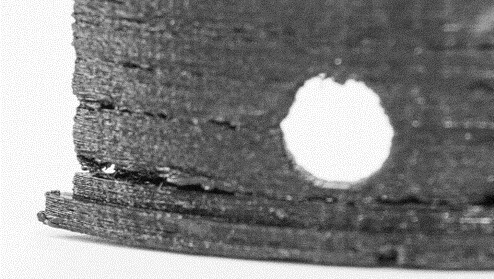 Due to the fact that these materials are thermoplastic in nature, their properties make them difficult to process when subjected to processing methods where phase change is necessary. All 3D printing methods involve phase-change in materials. 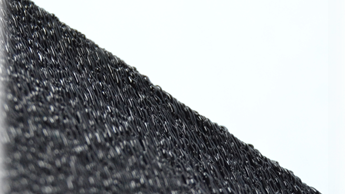 For thermoplastic materials, the 3D printing challenges get amplified by the fact that their microstructure can be complicated due to the formation of crystalline or amorphous domains either in exclusive terms or in co-existence. 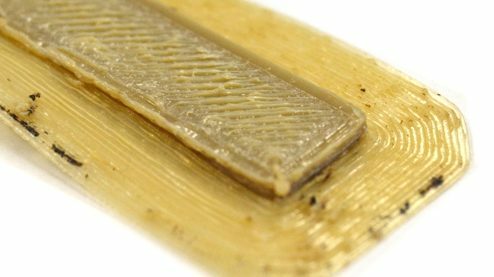 These microstructural changes can precipitate defects or poor quality 3D printed parts if uncontrolled. In the global AM sector Apium has historically played a pioneering role in the use of high temperature/performance polymer based materials. 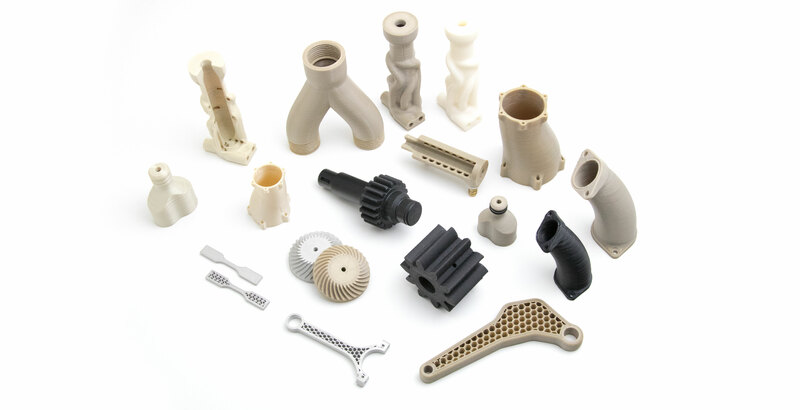 Its 2015 launch of the PEEK filament and HPP 3D Printer designed for this class of materials set the pace for other machine manufacturers as well as materials suppliers to make entry into this uncharted processing space. Apium has since introduced PVDF, POM-C and PEI 9085 in 2016 and in 2017 carbon fiber reinforced (CFR) PEEK. What makes Apium’s technology unique is the proprietary temperature management system. This system is specially developed for the handling of the state transformation which occurs when the solid filament material (such as PEEK) changes to the melt state then back to the solid state during the printing process. 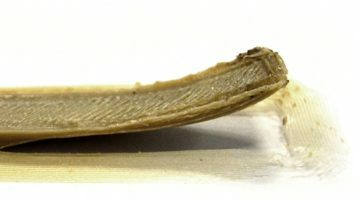 The rate at which this transformation occurs directly influences the kind of microstructure as well as the macro-physical properties of the 3D printed part. Indeed achieving successful results with Material Extrusion (FFF) 3D printing requires good knowledge in designing for AM, the 3D printing parameter control for PEEK as well as other high performance polymers, and also a good knowledge in materials; especially how materials are created, how their properties can be engineered under the agencies of temperature and time, and what makes a material endure longer operating times. 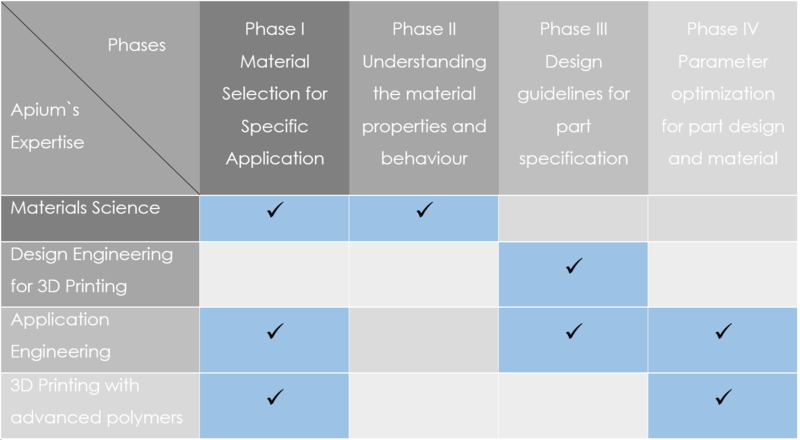 Apium`s technology offers a unique access to defining how the properties of materials like PEEK can be created using control tools of the 3D printing process. 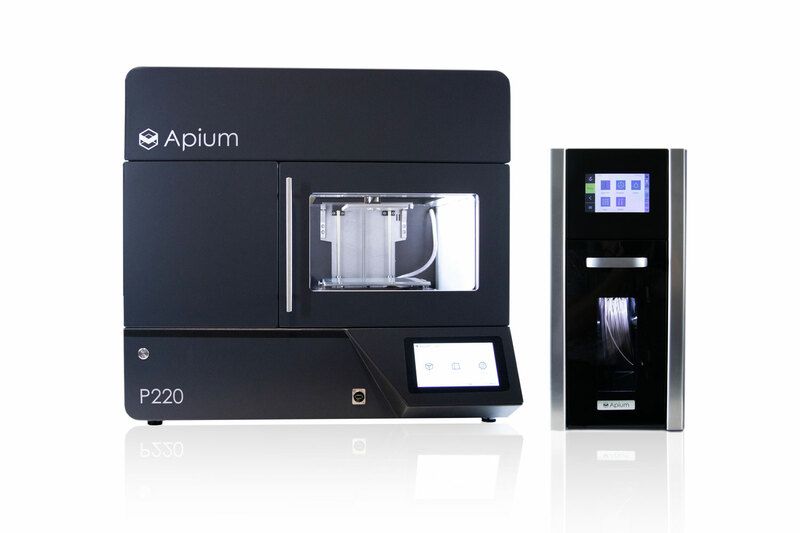 Apium’s P220 printer allows for the build-up of PEEK parts which have regions of different crystallinity including the literature specified crystallinity for PEEK in key applications such as medical. Apium brings the most experience in PEEK 3D Printing, the company`s CTO, Prof. Dr. Brando Okolo has over 16 years of experience in materials research and drives the technological developments for advanced materials. Under his leadership, the technical team at Apium has amassed expertise in the 3D printing of high performance polymers. 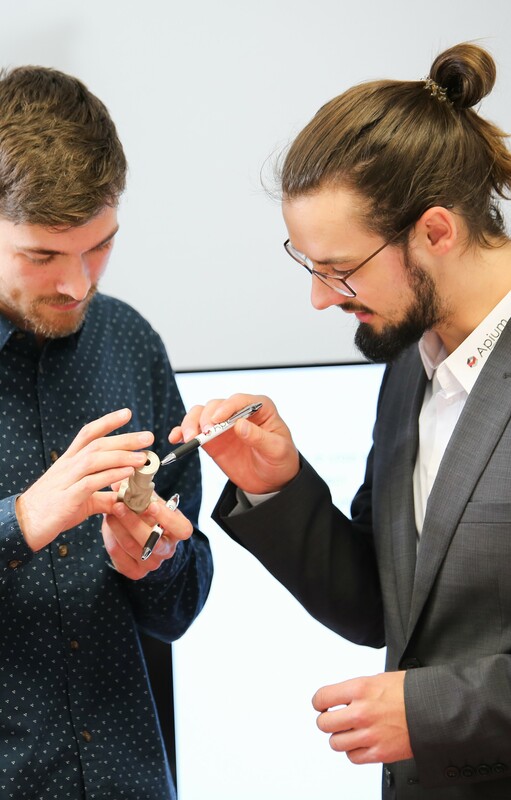 With this expertise Apium is able to support the end-users in an excellent manner ensuring the transfer of know-how through advanced trainings to achieve best-in-class results from material selection to successfully 3D printed parts. Contact us for your customized training experience and leave the 3D printing problems behind you!